This article is mainly aimed at the agency world where there are outreach or link building teams working full time to find potential and trustworthy sites for their client’s links to be placed on. In an age when it is easily possible for links to harm your site, it is very important to make sure that the links being built are of the highest quality and will not cause any issues now or in the future. This post is therefore designed to help you learn how you can use Majestic SEO to quickly analyse a link prospect, (such as a potential guest post), and see how trustworthy the website is. There is a huge volume of guest posts being built each month to both small and big brands. We all know that whenever a link building method gets abused, Google is watching very carefully and looking at how they can combat it. I fully expect them to roll out some major changes this year to target some of the lower quality sites, which are there specifically to supply guest posts. In an agency environment where there are hundreds of links to build each month, this can add up to a lot of pressure. This can lead to placing content on some sites that may look good but in reality, the website owner may have used that domain for “spammy” tactics in the past and is now just using it for link placements. It’s these sites that give your client no benefit from gaining a link whatsoever. Have too many of these links and you could end up with a manual penalty from Google. The good news is that with the Majestic SEO tool you can actually use their metrics to quickly find out if a site is “spammy” or not. Using a combination of Citation Flow and Trust Flow, you can get an overall ratio that will allow you to quickly analyse whether a site if trustworthy or not. Before I go into how to find the trust ratio of a site, you must first understand exactly how Citation Flow and Trust Flow work. Dixon’s article on Flow Metrics explains this terminology. But the main thing to remember is that Citation Flow is link juice and the Trust Flow is how close those links are to trustworthy, authoritative sources. The basics behind why the trust ratio works is because, if the Citation Flow is high and the Trust Flow is low, this means that the website being checked has a lot of link equity (or “juice”), but barely any trust from those links. This usually indicates that the site has gained those links from “spammy” areas of the web as they are not close to authoritative sources. On the flip side of this, if a site has a high amount of Trust Flow and low Citation Flow this means that the links pointing to that site are from very trustworthy sources .i.e. a trustworthy site that you want a link from. To give you an extreme example of this situation – here are 2 websites, one that is trustworthy and one that was built for “spammy” purposes. 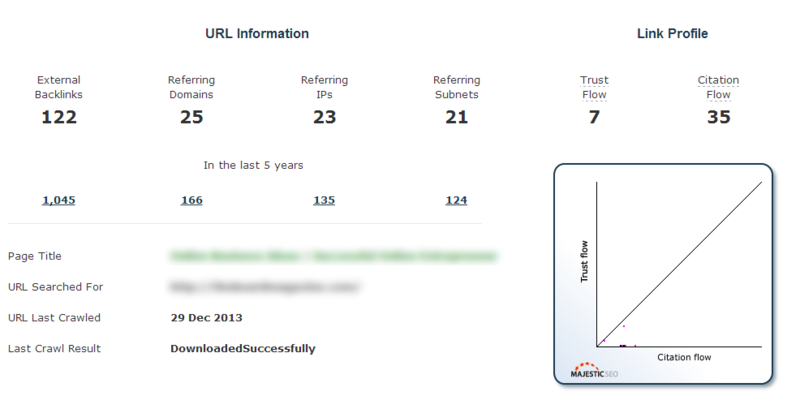 Image 1: This is an example of a good ratio of trust to citation flow. Possibly an over the top example but it proves the point! 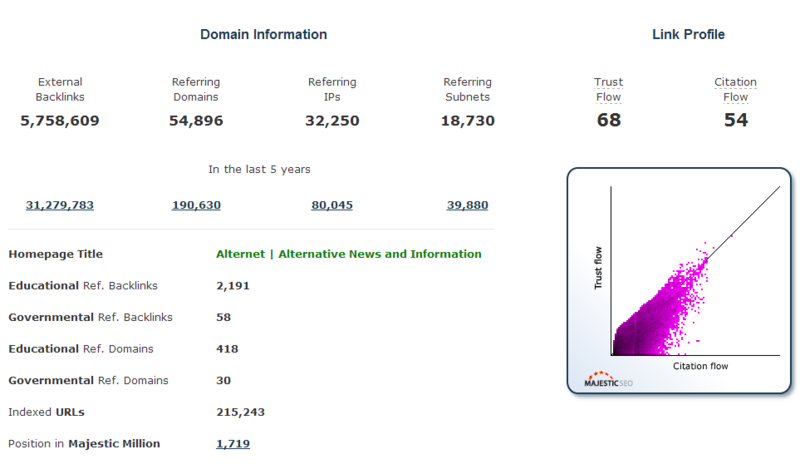 Alternet.org is a large online magazine with a huge online community, and as you can see, has a Trust Flow of 68 and Citation Flow of 54. With a trust ratio of 1.259, you know that this site has links from trustworthy sources and is a good site to outreach to for your client. For the purposes of this article I will not name the site in which I have used for this example, however they are an active website accepting and regularly publishing content. Image 2: This is an example of a poor ratio of trust to citation flow. From this you can see the Trust Flow is considerably lower than the Citation Flow. Using the same calculation you can see the difference in the trust ratio. The trust ratio here is well below 1 and shows that this site has gained its link profile using “spammy” techniques. I discovered this site by looking at the backlinks of a heavily penalised site. It shows that having a lot of links from sites like these will eventually cause issues. So in a nutshell this shows that using a quick glance of the Majestic SEO metrics of a site can really help you to decide whether a site is technically trustworthy or not. If you are within a digital marketing agency with a high volume of links to provide. This can save you hours of quality checking sites prior to contacting them to make sure the links you build are of the highest possible quality. Just one personal recommendation: to speed the process up even more, use the Majestic SEO Chrome plugin to check the metrics as you look at the site. This check is only a quick overview and does not always apply to every site. There are many perfectly trustworthy sites out there that have a Trust Flow lower than the Citation Flow. All you need is a bit of common sense when doing this. However sites with Citation Flow of 35 along with a Trust Flow of 7 are nearly always going to be poor quality sites. There are additional things you can do to make this more accurate such as using anchor text ratios and looking at the trust ratios of entire niches. But I will be covering this in another article so stay tuned. If you would more information or advice on any of the aspects covered within this article please get in touch. 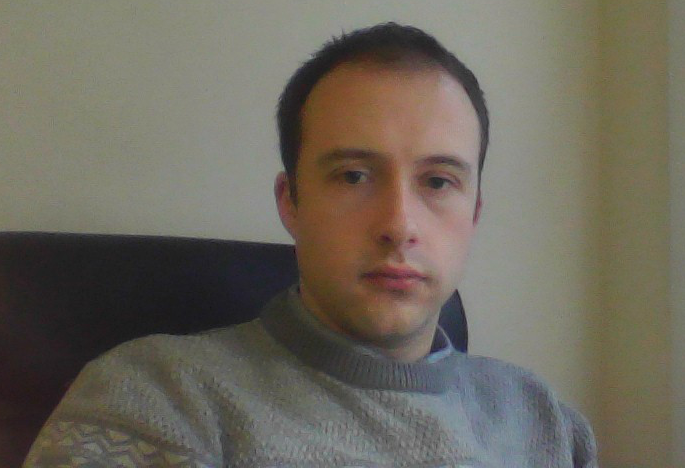 You can find me on twitter @adamjamesmason or contact me at Datify.co.uk. Thanks for Chrome plugin. I have installed it and it’s provide the webpage link analysis and citation flow. Thanks! As informative as I found this article I’m still struggling with the concept of Trust Flow. I’ve read the support document but I’d greatly appreciate it if someone could try to simplify the concept? Oddly enough it’s the only aspect I don’t grasp, citation flow and others I’m quite happy with. If it helps, I always think that the trust flow is how close a site is to authority sites. Majestic SEO created a list of authority sites in which started the basis of trust flow. Your trust flow is then calculated by looking at how close your links are to those particular sites. The closer your site is the higher the trust flow is. your new launched product Majestic Search Engine Launches Live Rank Factors is not accurate at all. I did try many times but still not shoving actual result at all. Type “Bali silver jewelry” or Balinese silver jewelry as keyword in Google search bar and see the result. Than try same with your new tools, it doesn’t match at all. Unless if I am doing something wrong. Hi Sabastian – I am not sure why you made that comment on THIS blog post – but if you look at the main blog post on the Live Ranking Factors you will see why that search phrase will not yet be accurate at all. We had to build the technology first, and moving forward we will now be able to modify the algorithm. Please feel free to add comments on the other post. Thanks. Thanks for the great article. Your website has improved my SEO knowledge 10 folds. I use the bulk backlinker tool on regular basis to analyze expired domains. The trust rank factor gives a picture of the domain even when it’s not active. Thanks for all the tools. Thanks, Majestic SEO is definitely one of the best link analysis tools out there. Particularly if you are looking at the back links for domains no longer active. This can even help find links that are pointing to 404 pages so you can recapture lost link equity. Hi, I just created many backlinks for my new website and they does not seem to be counted in Majestic SEO yet. Does it take time to update and show fresh results ? Nice article and something I do look at when analyzing a website already. I wondered what you would say an “ok” ratio is? I mean I know 1:1 is great but at what ratio would you say a website is “spammy”. Less or equal to 0.5? It is difficult to say exactly what an OK ratio is and it depends on the niche. I am working on devising a way of using Majestic to then look at a large number of sites in a certain niche to find an acceptable Trust Ratio. It’s almost complete so if you would like to test it out email me and I can send over the method. I may even put it into a tool. Thanks for the correction, I will see if I can get this altered. I am afraid that Majestic itself cannot act a consultancy. We can provide metrics. You would need to work with an SEO professional for help. I will drop you an email. Maybe I can have a look and see if there are any issues with your link profile. a very good article! helped me a lot. Good article. I have been doing some domain research using majestic Seo and am a little confused by something. I have a website that shows trust flow of 29 and citation flow of 24. I am also checking a website that this domain links to. When I click the anchor text tab under the anchor text pie chart, it shows this domain linking in, but with a trust flow of 0 and citation flow of 0. Anyone, understand why this? This can be due to nofollow link used from that website, so the site itself will have TF and CF, but if the link is nofollowed then none of this is passed to another site. It can also be that the link was found to be removed in which case flow will be stopped. Thanks for your article. I have been looking at the way Trust Rank works for the past 3 months or so. This has gradually focused my efforts on increasing the number of sites linking to my website because I had very few links (also, over-dependent on certain linking text). What I found important was the need to carefully choose trustworthy link partners and diversify linking text. I am sure this has increased my Trust Flow slightly. We do not directly use outbound links as part of our Flow Metrics calculation – so in that regard, outbound links will not affect our flow metrics scores on your site, although they may tend to distort the trust flow/ citation flow balance on the sites you link to – but only very marginally. This is incredibly good information to use as a basis for understanding Trust Flow & Citation Flow, and how they both can affect the overall SEO of a site. Unlike many sites I’ve seen where I actually come away from reading the articles feeling DUMBER, the content on this site – among others – really keeps me on my toes. Thanks for this effort. Keep up the great work!